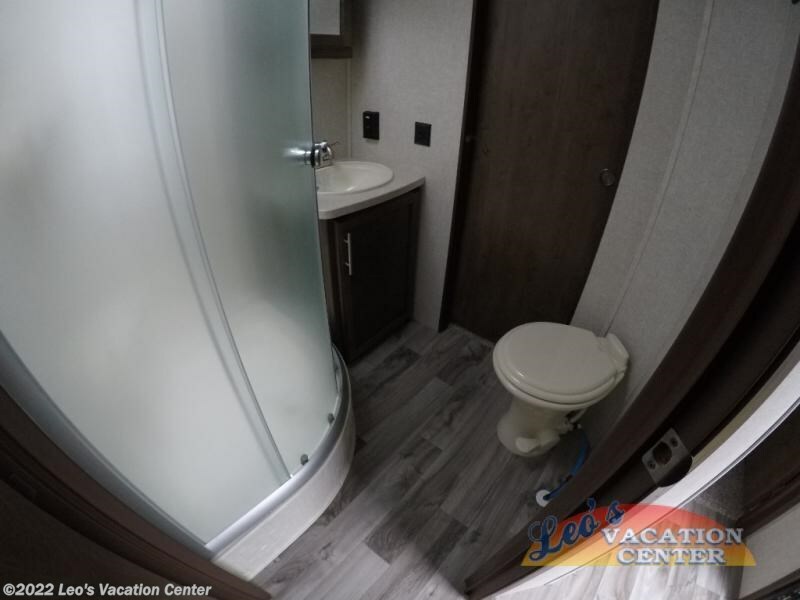 How would a rear entertainment center, dual access bathroom, and a front bedroom with a king bed sound in your next travel trailer? 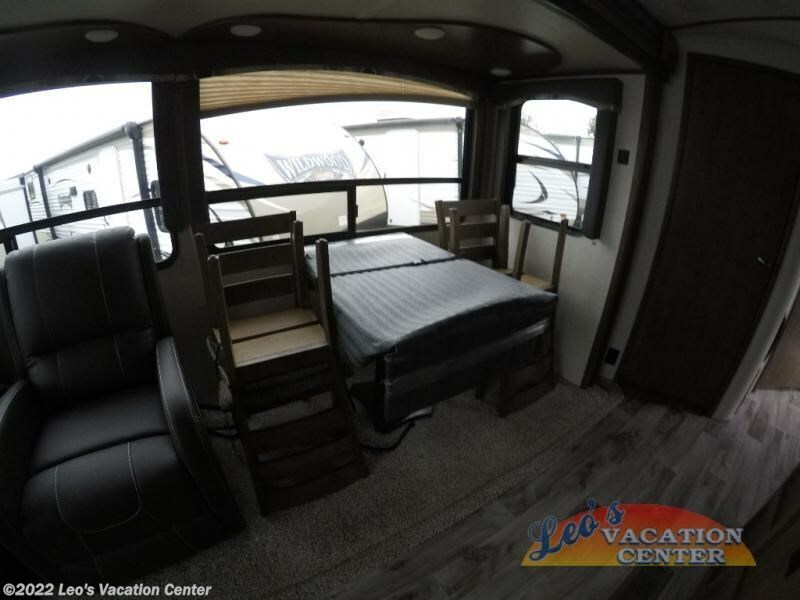 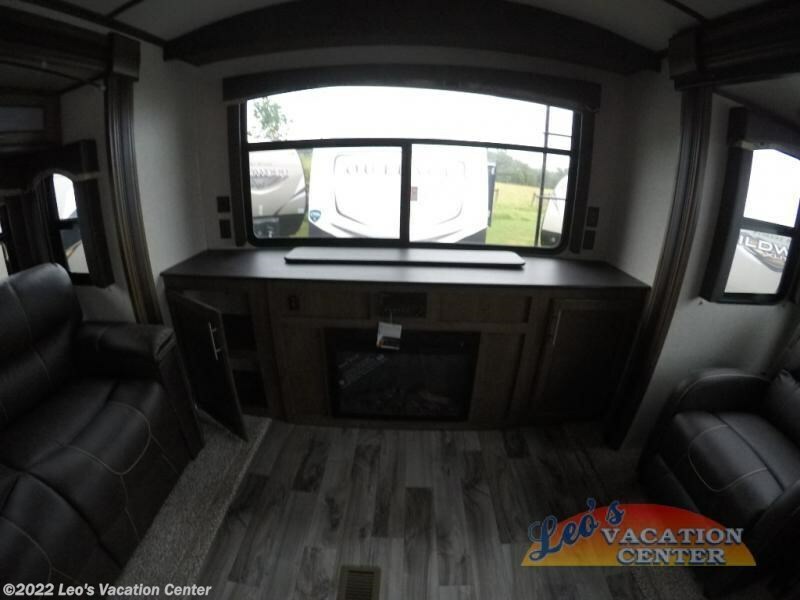 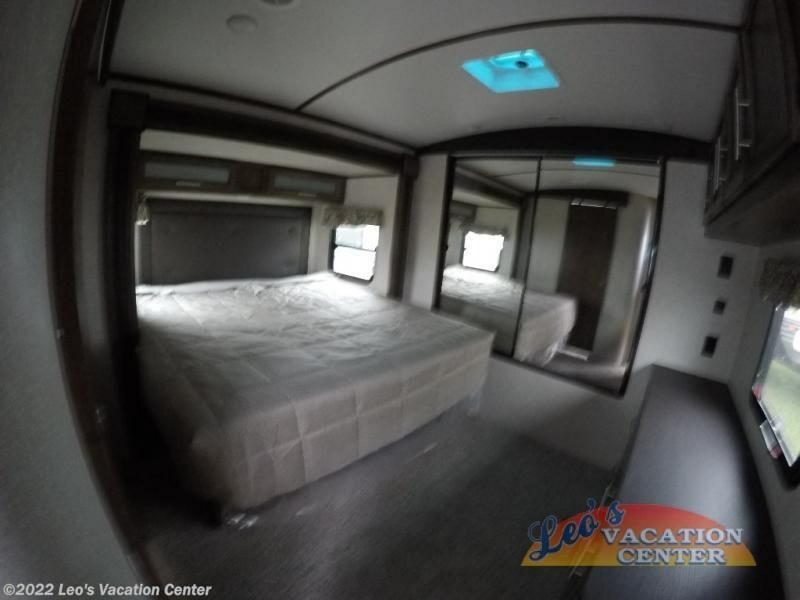 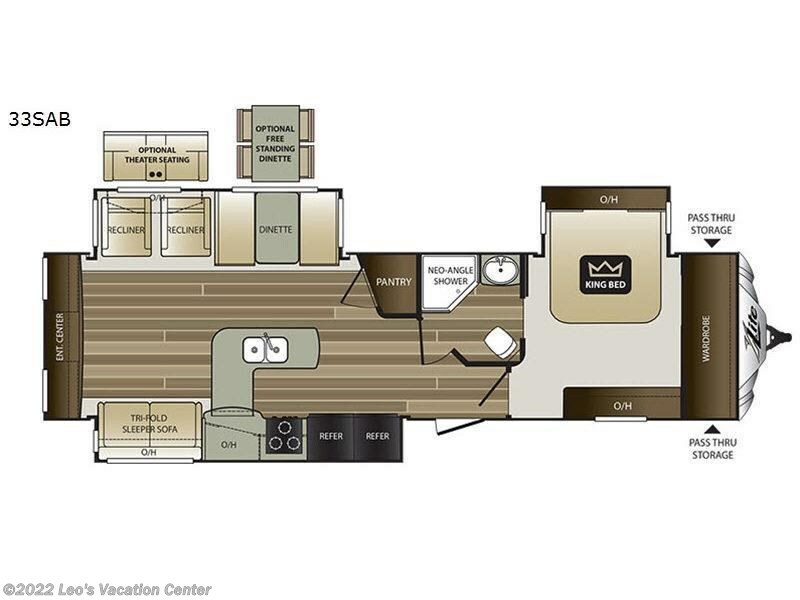 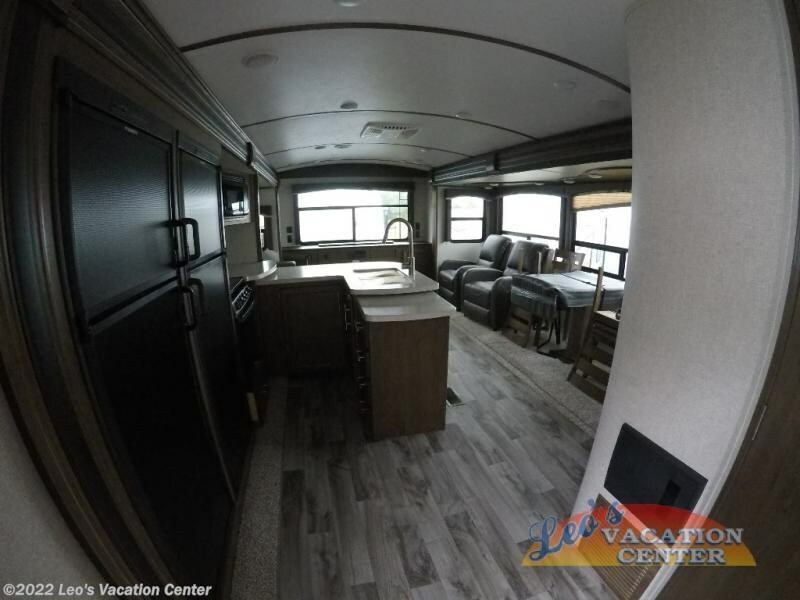 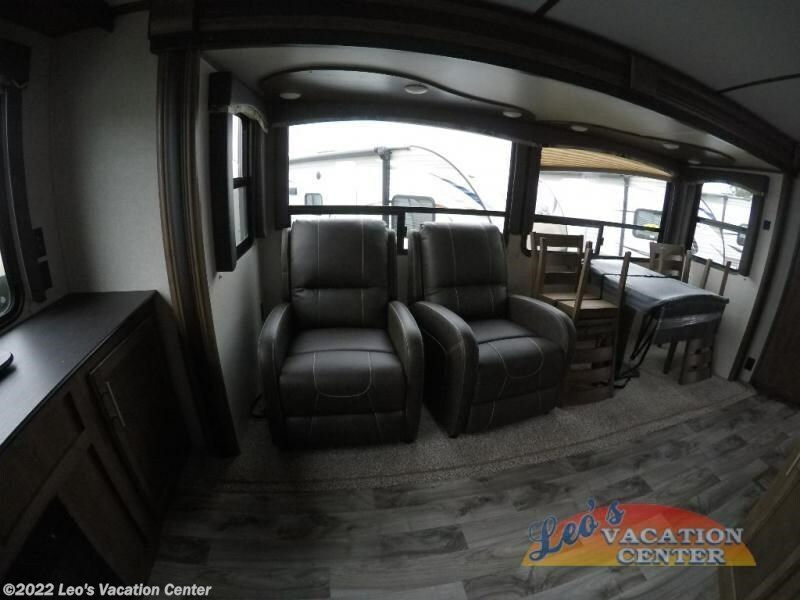 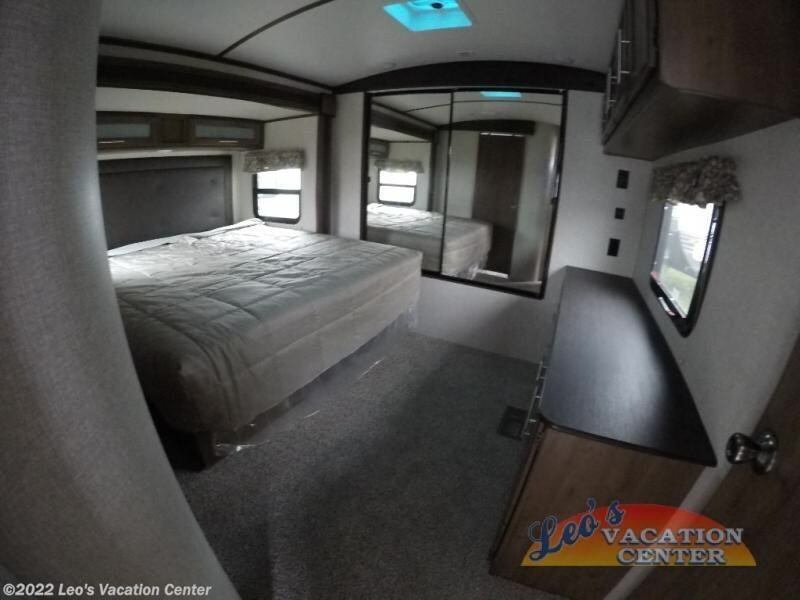 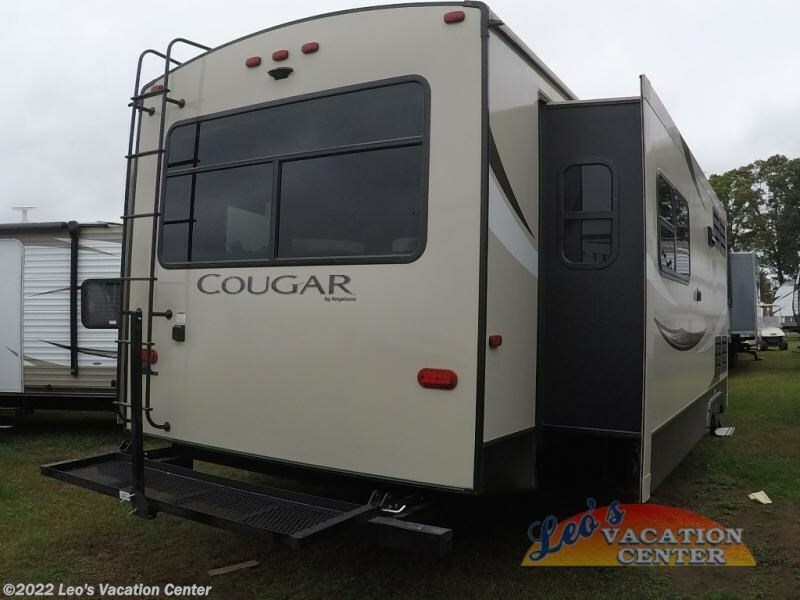 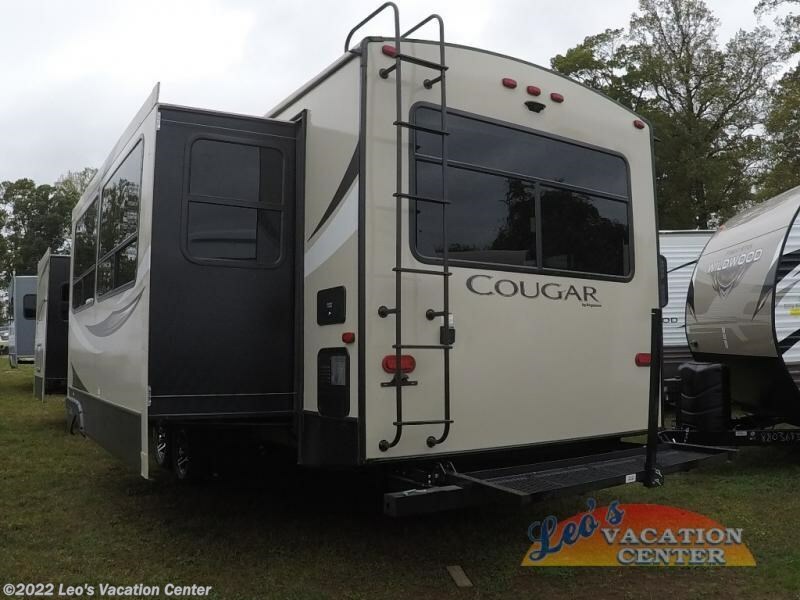 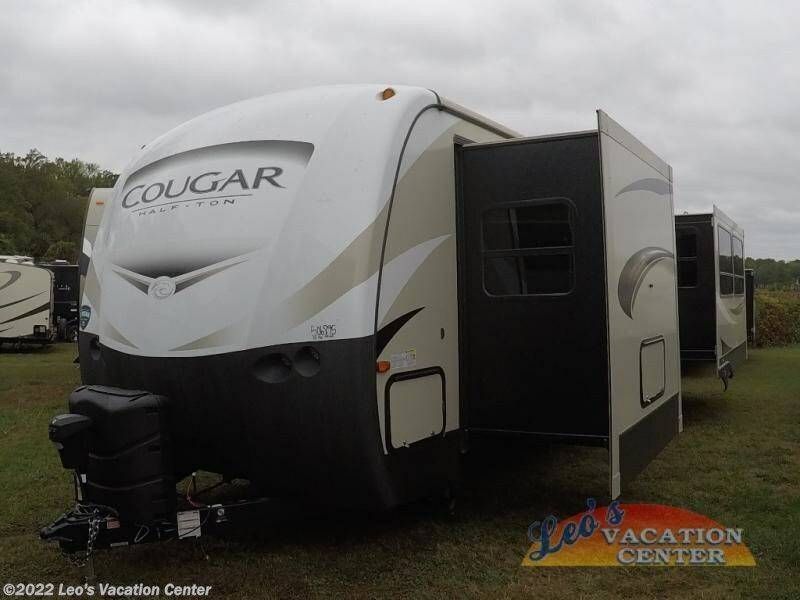 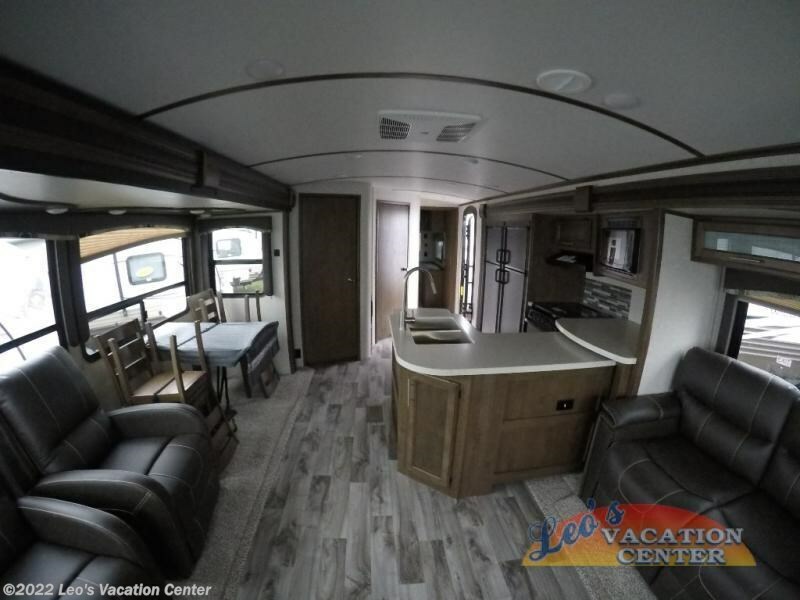 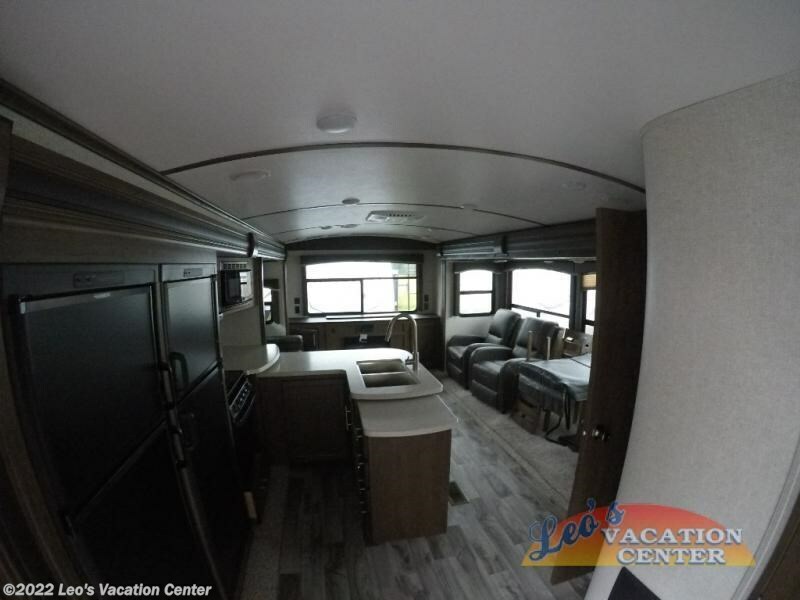 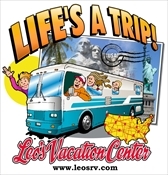 Take a look inside this Keystone RV Cougar Half-Ton Series 33SAB today! 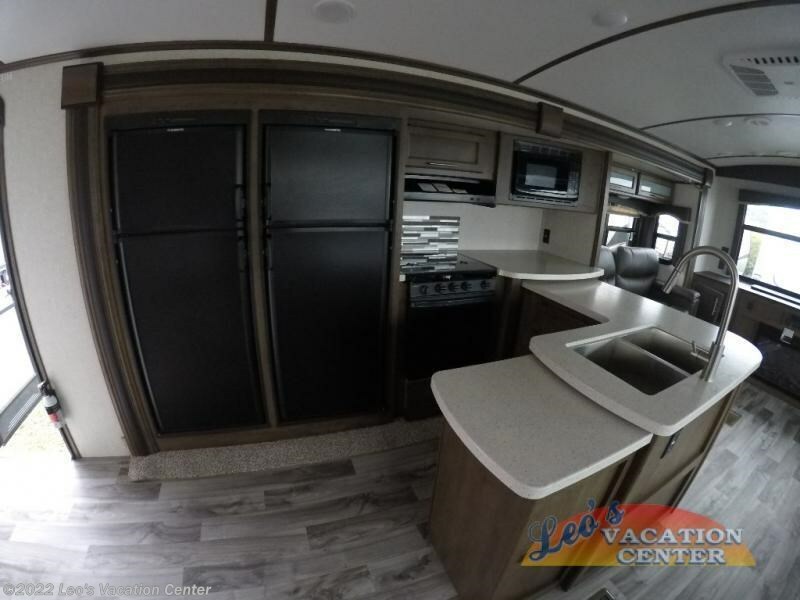 Step inside to find a combined living and kitchen area to your left including a rear full wall of storage and an entertainment center. 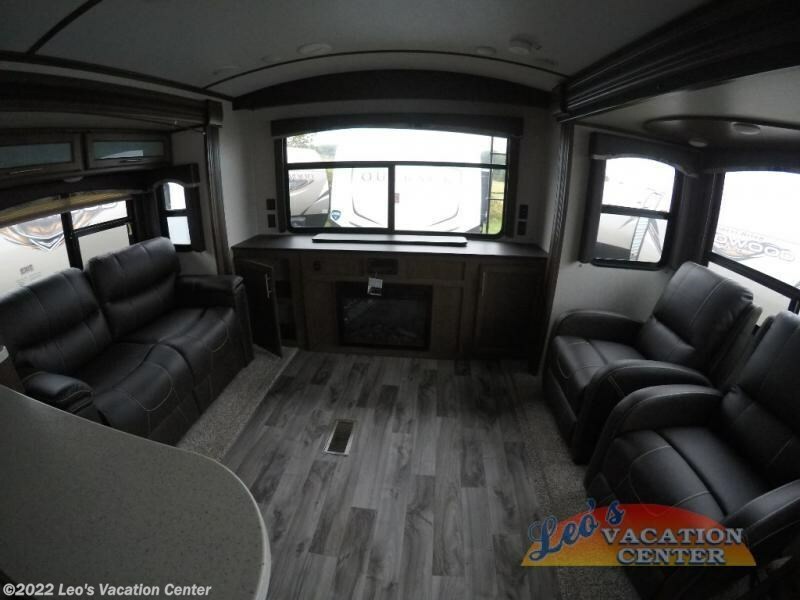 Along the roadside wall there is a slide out with two recliners or choose optional theater seating, and a booth dinette or choose a free standing dinette with chairs. 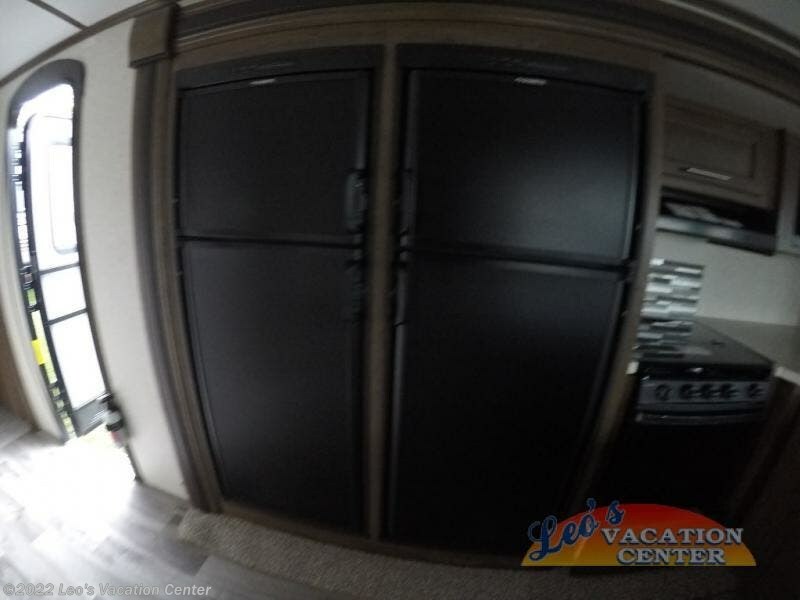 There is a large pantry in the corner for your canned goods and such. 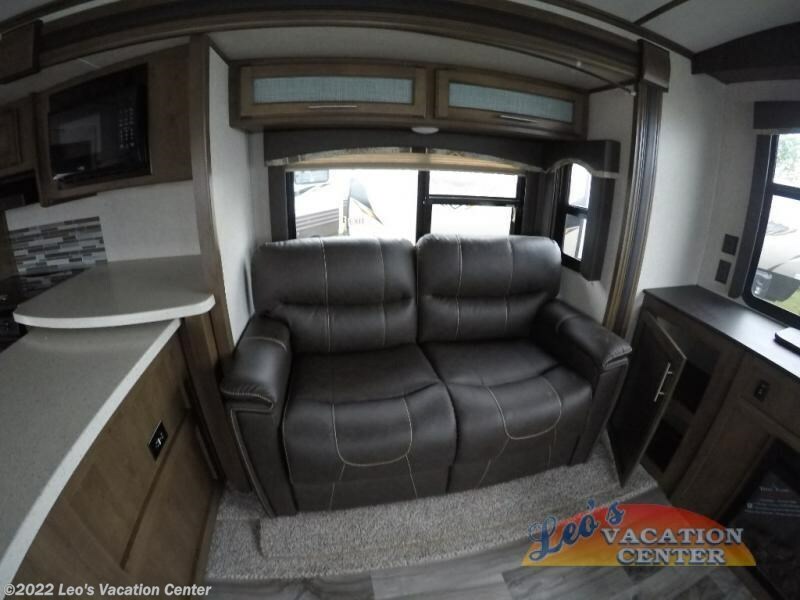 Along the curbside wall you will find additional seating on the tri-fold sleeper sofa. 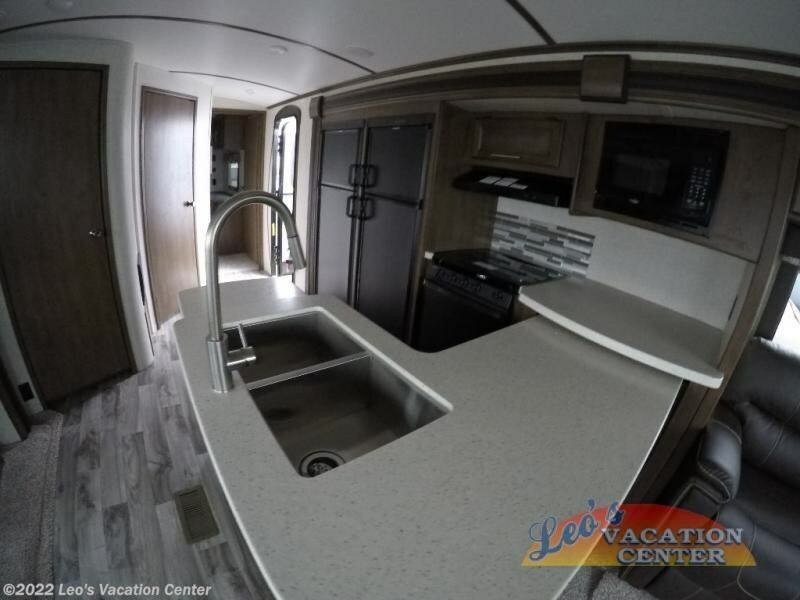 The sofa, an L-shaped counter, a three burner range, and dual refrigerators are located inside a slide out next to the entry door. 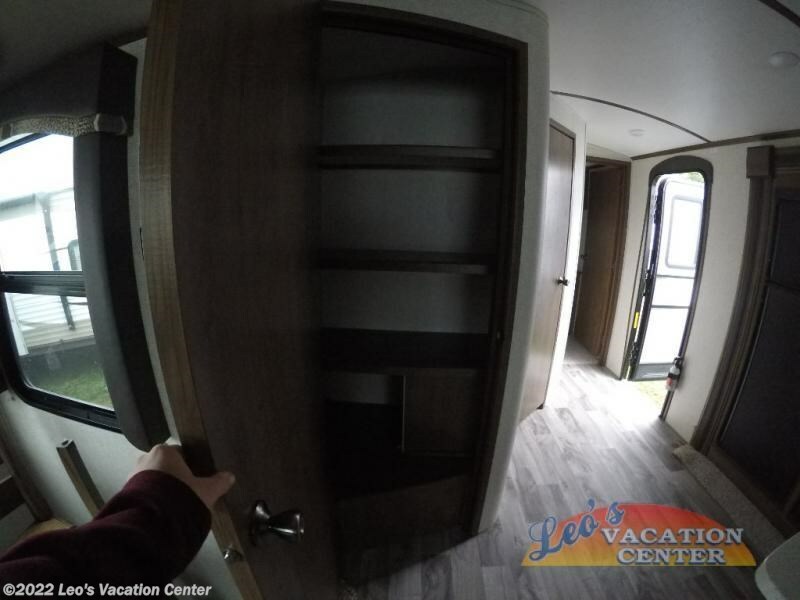 There are plenty of overhead cabinets throughout as well as exterior storage compartments, plus much more inside and outside! 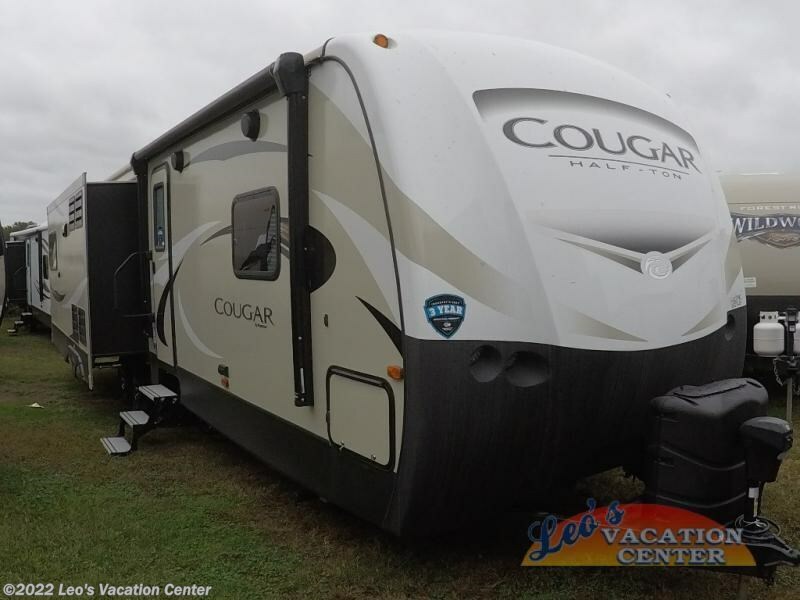 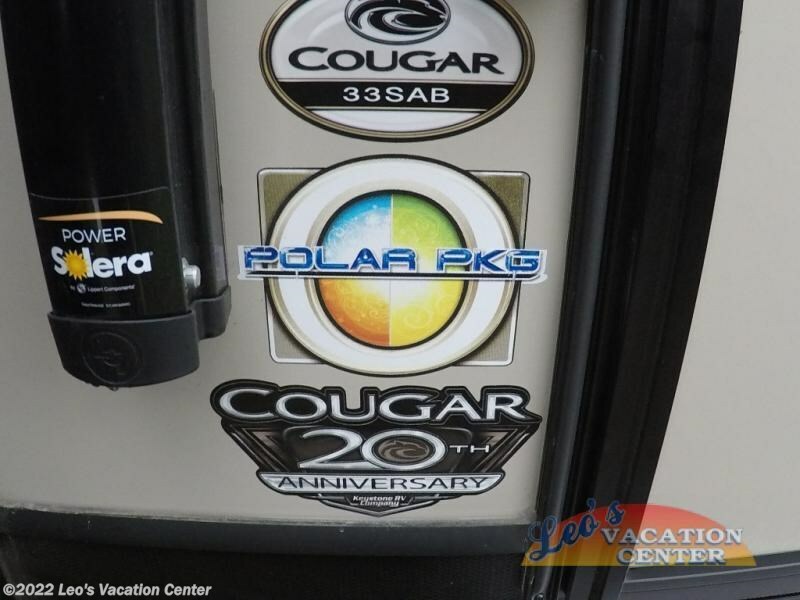 Check out Stock # 10176895 - 2018 Keystone Cougar Half-Ton Series 33SAB on keystonervsource.com!